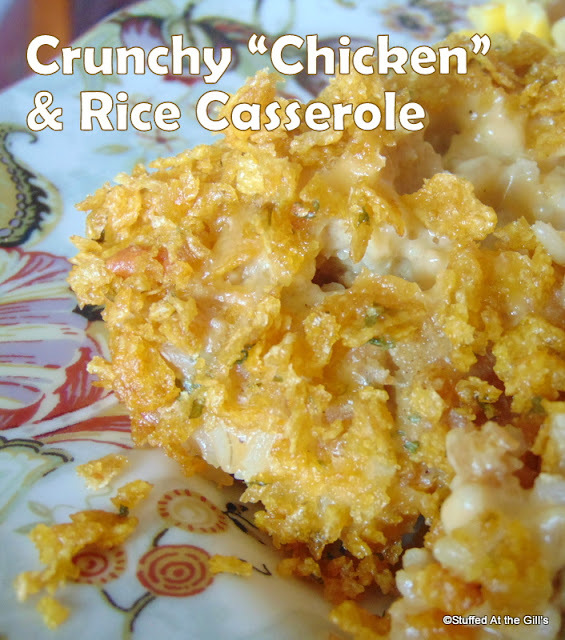 Crunchy "Chicken" & Rice Casserole is a creamy, cheesy rice and vegetarian "chicken" casserole baked with a crunchy crumb topping. Makes a great dinner or supper dish. 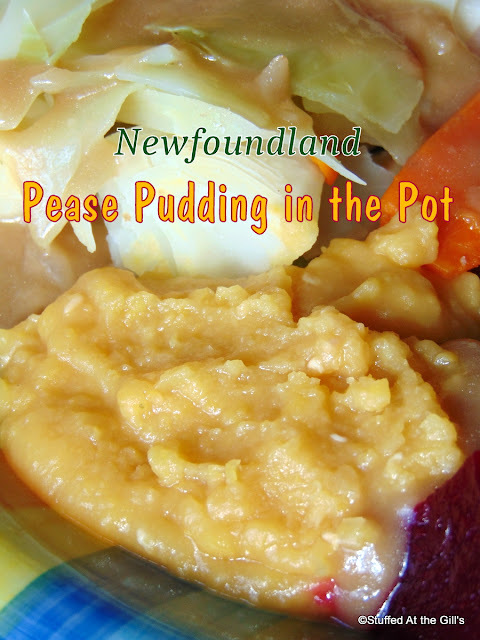 Serve it with a salad for a full meal or as a side-dish with beans and vegetables. Here's another all-in-one dish that can be used for a full meal or as a side-dish. I've had this recipe for years. I believe it was in a little pamphlet that came with canned Worthington or Loma Linda foods. Not sure any more as the pamphlet is long gone but the recipe remains. Or, I should say, the skeleton of the recipe remains because I've changed it some. It originally called for a can of cheese soup, which I never have and don't like, and for the canned soy chicken, which I have used but it's hard to get where I live. Enough of cake talk. 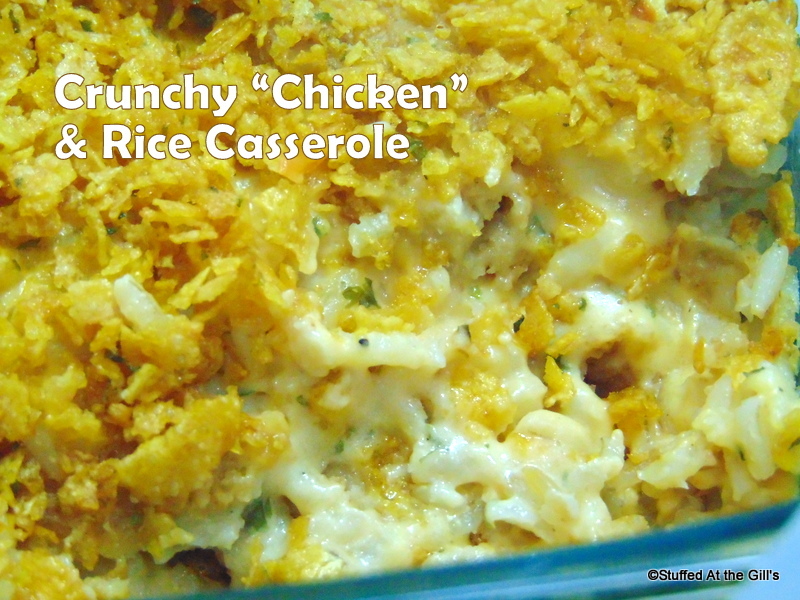 The Crunchy "Chicken" & Rice Casserole was a great success. Everyone enjoyed it (except for Lori who is still developing her palate and does not always appreciate my offerings) and some of us went back for seconds. 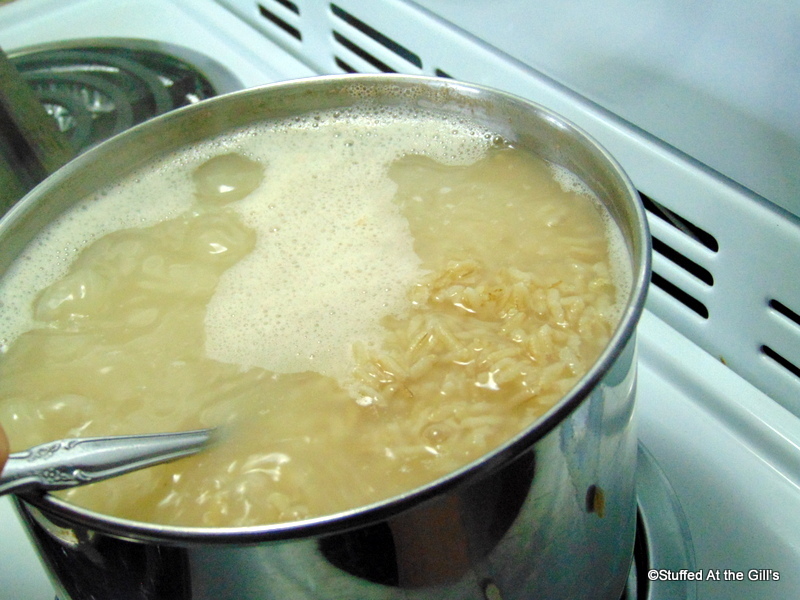 Cook rice before assembling casserole. Use your favourite rice, white or whole grain. Preheat oven 350 degrees. Grease an 8-inch square baking dish or a 6-cup casserole dish. 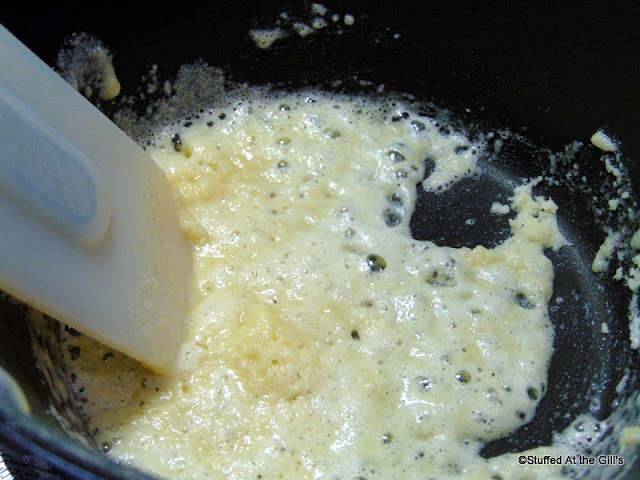 In a saucepan over medium heat, melt 2 tablespoons butter and add the flour. Cook together for 1 minute. 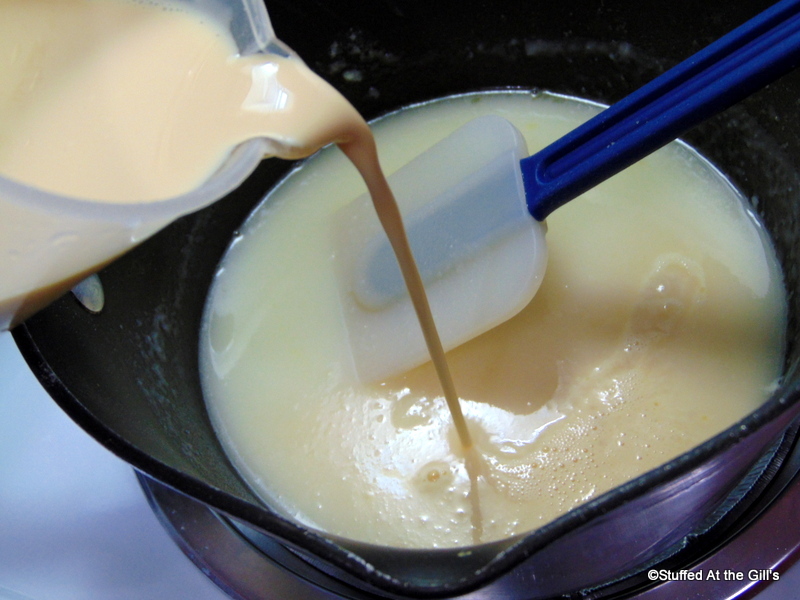 Add the milk; stir and cook until thickened and comes just to a boil. Add the salt and pepper. Remove from heat and stir in the grated cheese until melted. 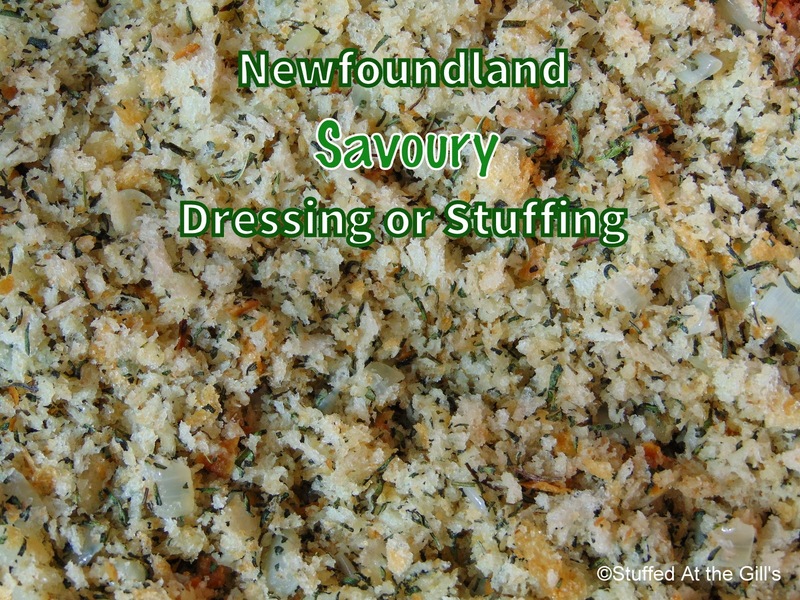 Spread 2 or 3 tablespoons cheese sauce over the bottom of the prepared baking dish/casserole. 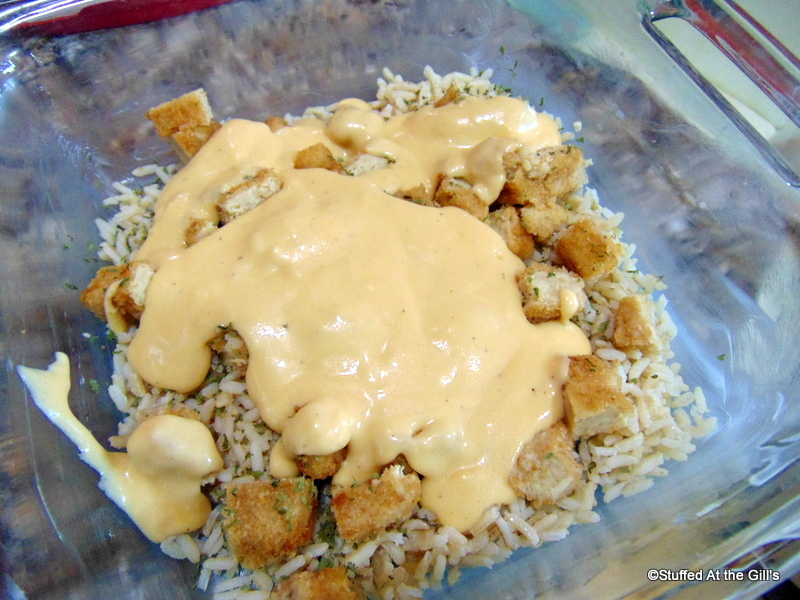 Arrange layers of rice, diced chicken, parsley, and cheese sauce in the dish. 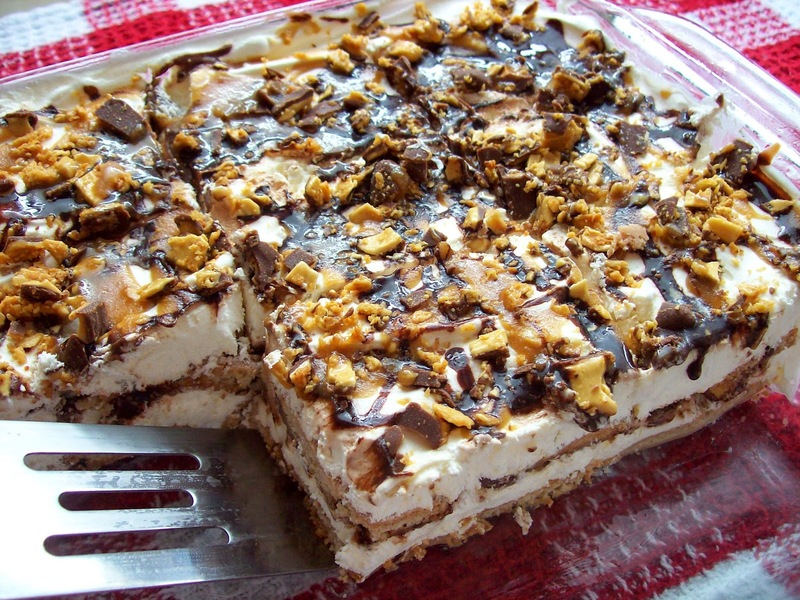 Make three layers. Combine cornflake crumbs with butter. Sprinkle over chicken mixture. 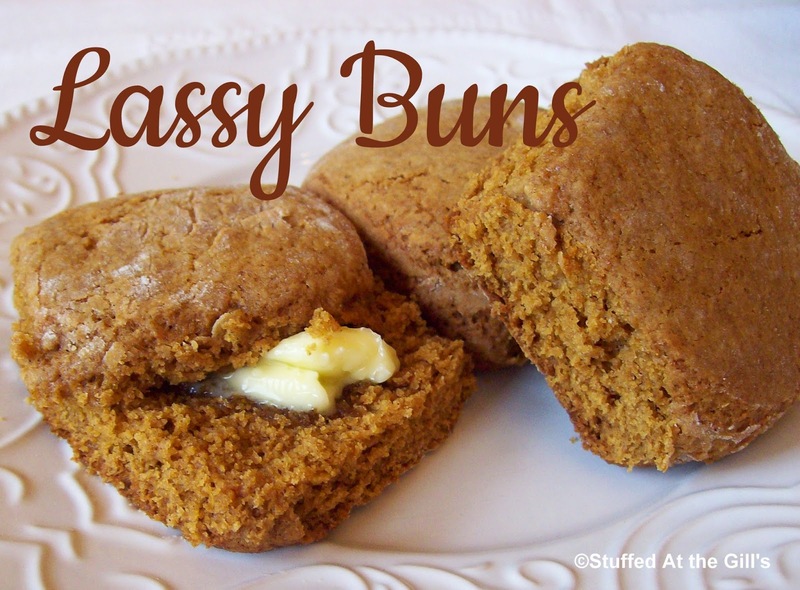 Bake in 350 degree oven for 30-40 minutes or until casserole is bubbling and top is crispy. Remove from oven and let set a few minutes before serving. Cook the rice before you assemble the casserole. This can be done the day before. Use whatever vegetarian "chicken" you have on hand. 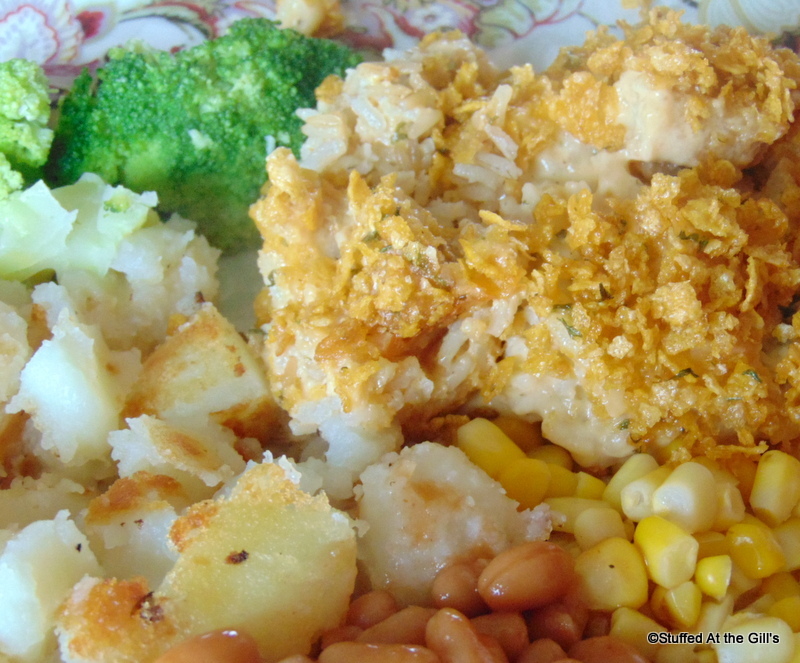 Today I had Yves Veggie Nuggets in the freezer and they work very well in this casserole. But use your favourite or whatever you have on hand. 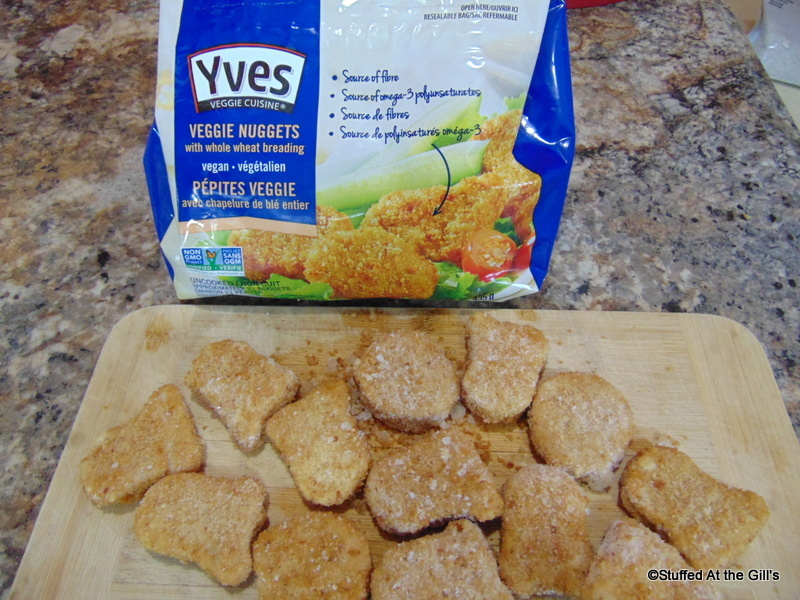 Notice the Yves Veggie Nuggets are vegan. You can use vegan options for the milk, butter and cheese to make this a vegan dish. 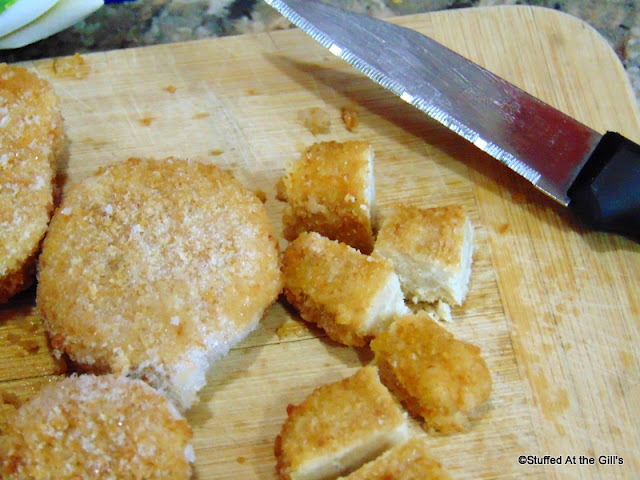 Cut the chicken in small pieces. I did not precook the nuggets because they will cook in the casserole, but you may precook them if you wish. 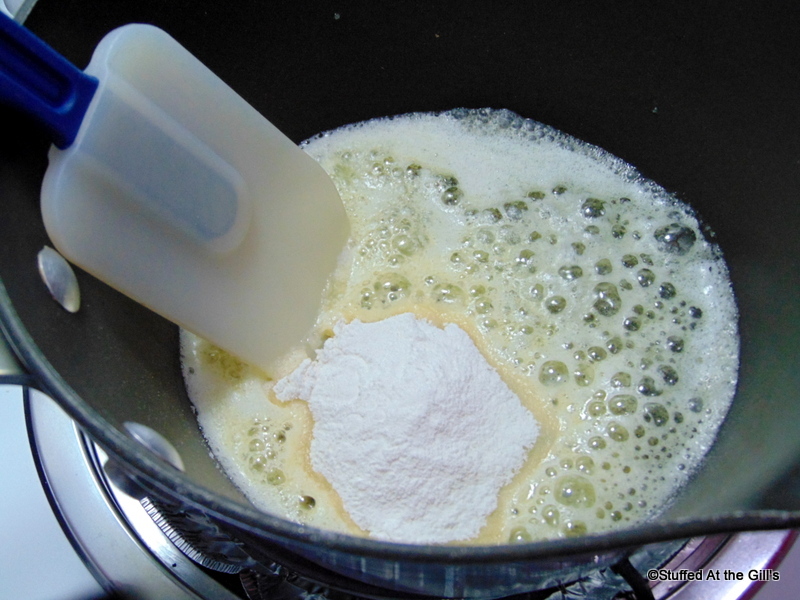 To make the cheese sauce melt the butter and stir in the flour. Let this mixture cook about 1 minute. This will help remove any raw flour taste from the sauce. Pour in the milk and stir and cook until thickened and the mixture comes to a boil. Add salt and pepper. 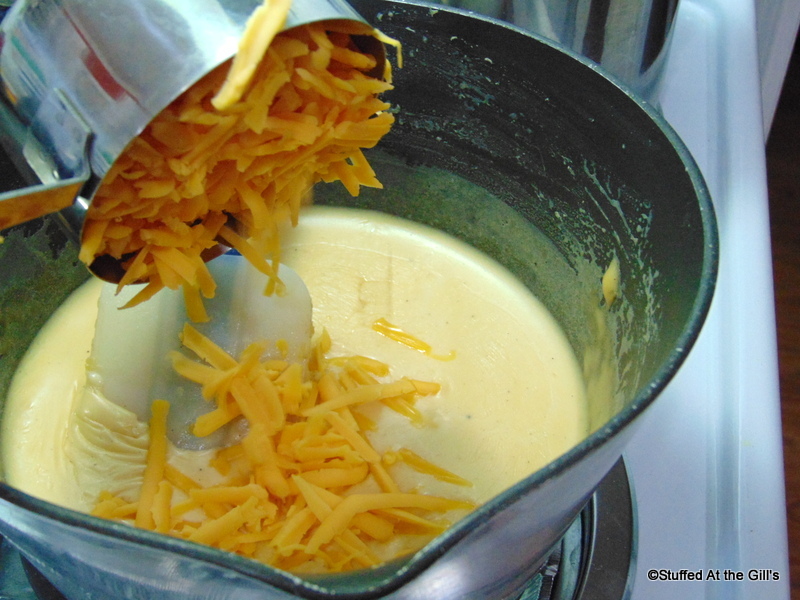 Remove the sauce from the stove and stir in the grated cheese until melted. Layer the rice, chicken, parsley and sauce. Make 3 layers all together. 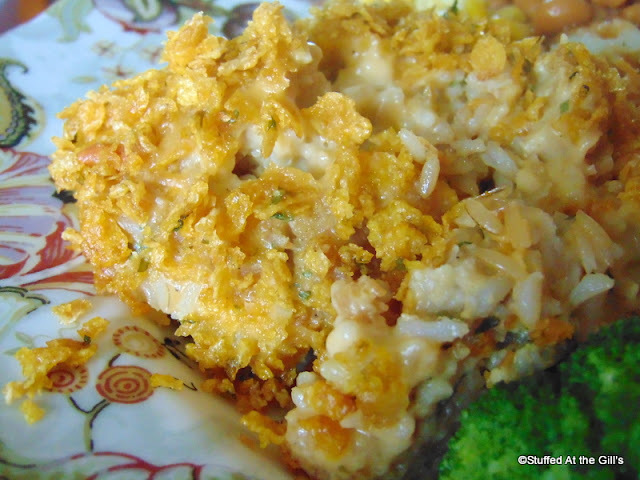 Mix the crushed corn flakes with the remaining 2 tablespoons of butter and sprinkle over the top of the layered casserole. Bake for 30-40 minutes or until bubbling and the top is crisp. A closer look at Don's plate. 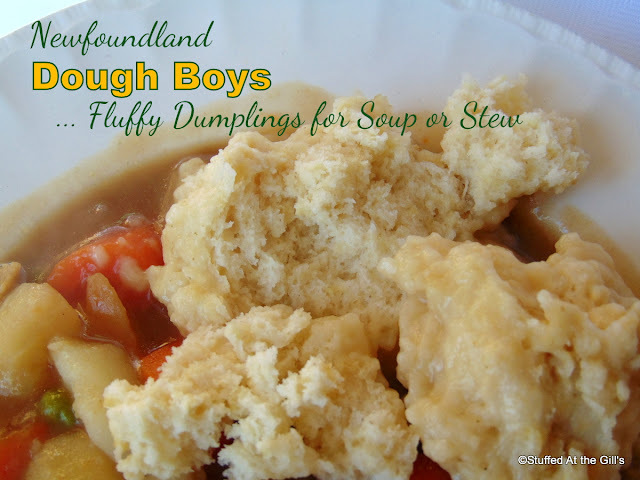 A great dinner or supper dish!